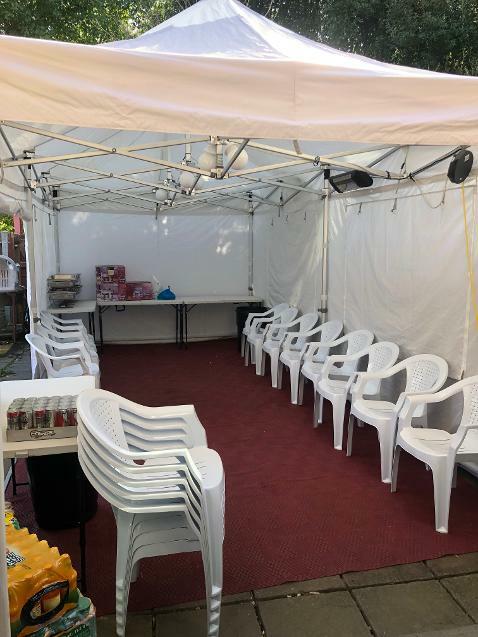 Hire a Marquee or Party Gazebo in Canvey Island and all Essex areas This Weekend! Available in sizes 3mtr x 3mtr, 3mtr x 6mtr, 4mtr x 4mtr, 4mtr x 6mtr, 4mtr x 8mtr and 4mtr x 10mtr. They are the perfect solution for garden parties & BBQ’s this summer when you can’t rely on the great British weather! We supply a wide range of different size marquees to suit all events. 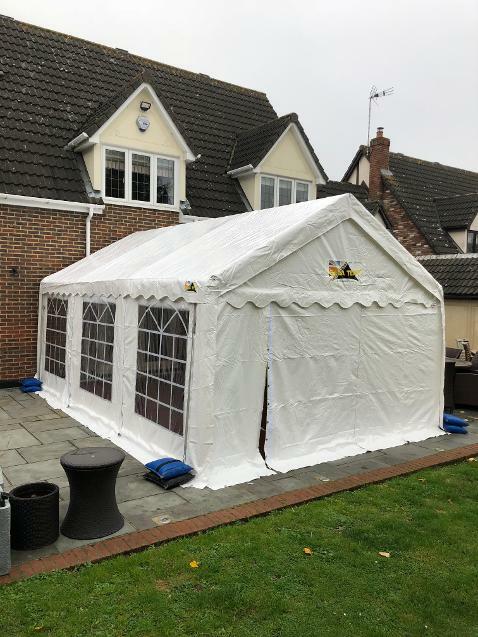 They offer a flexible solution for all types of marquee hire across Essex. Our marquees offer the maximum floor space in a structure without the need for internal supports or external guide ropes. 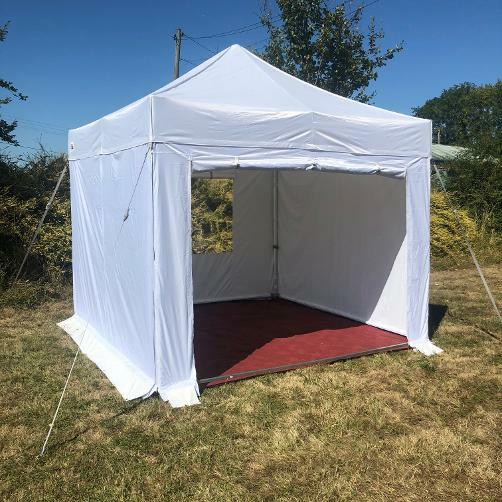 Alternatively, they are really useful for fetes, sporting events, catering tents or other corporate events where you need protection from our great British or should i say Essex weather. With the option to add Ceiling Globe Lights, Powerful Heaters, Bluetooth Music Speaker equipment, LED part light bars, Flooring, Carpet, Disco lights, Chairs and tables we really have the ultimate personalised package for you. 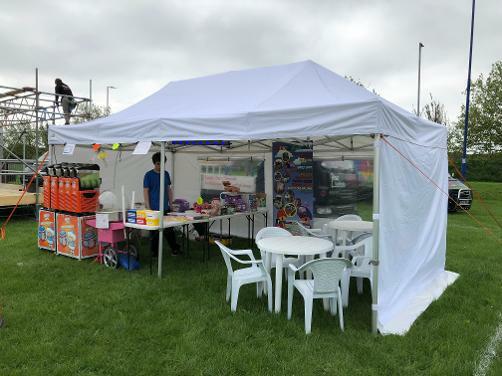 We are best gazebo hire company in Essex and Benfleet. 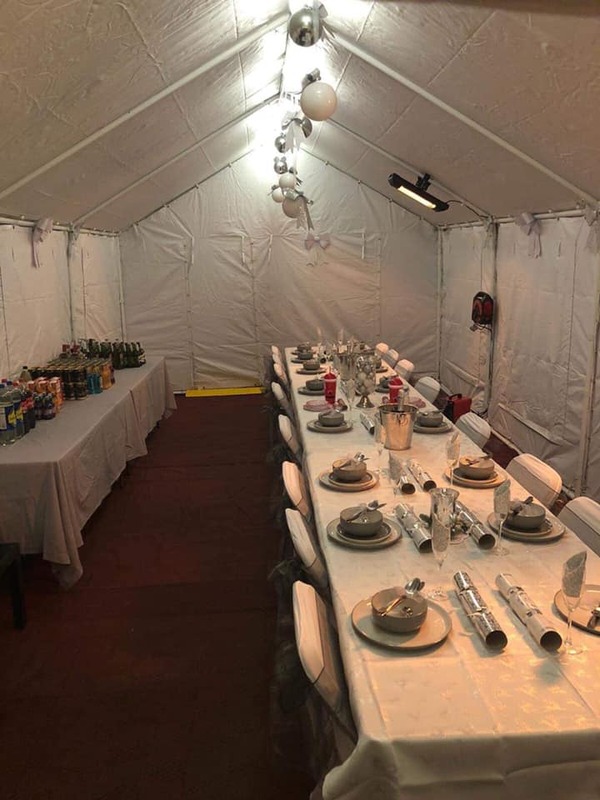 Our Party Marquee Tents come in a luxury diamond white colour with a deep red breathable flooring carpet as an extra. With the option to add lighting you can now use at night in your garden to gain additional room for guests. 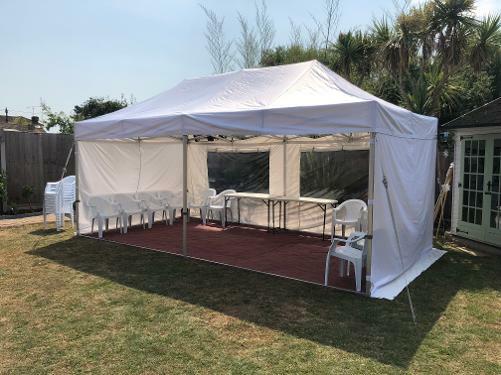 All our tents are clean and well maintained and assembled to a high standard. Need quality party hire in Essex? We can help you with a great range of equipment and we know our prices are competitive. There are no 'hidden' fees - we don't charge damage waiver or credit card fees, so if you are comparing quotes, make sure you are looking at the bottom line. All of our online prices are inclusive of GST. 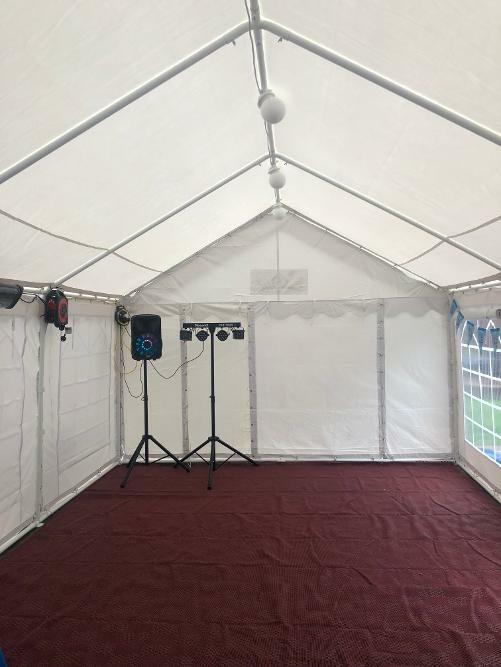 3mtr x 3mtr Party Tent. 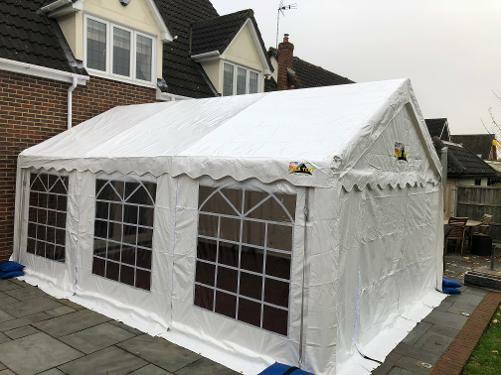 3mtr x 6mtr Party Tent. 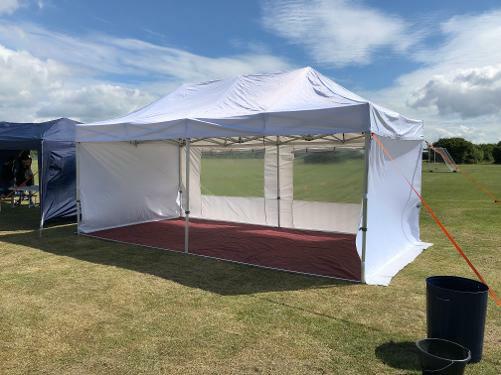 Our fantastic thick walled ESSEX marquee and party tents will stay strong in winds with our vigorous gound bar system holding the structure together. At night our marquee tent will light up and stay warm with our super bright globe lights and our cannon space and bolt on frame heaters. 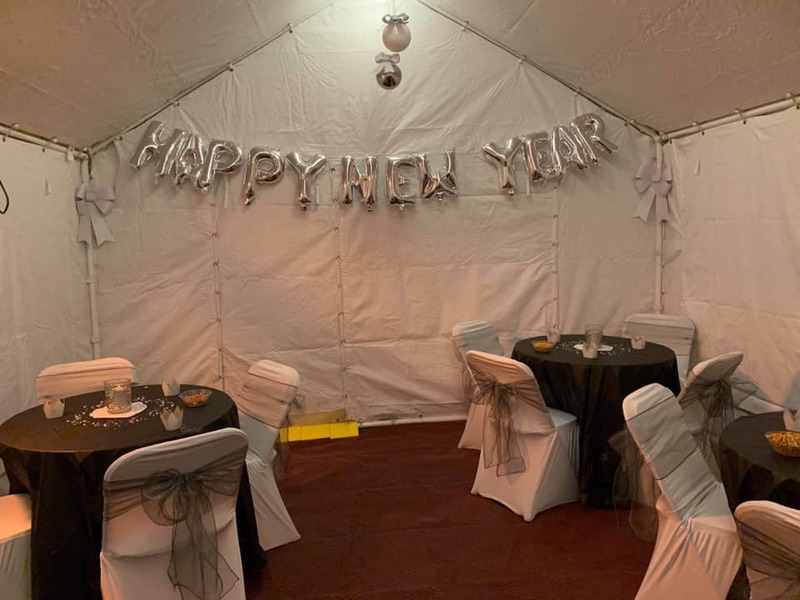 There is always an excuse to throw a party – and our marquees allow you to host anything from a small anniversary party to a big 21st birthday bash at home or a venue of your choice.Contact Us today for hire ourMarquee for that special occasion. Available for marquee rental in Basildon, Party Tent hire and marquee hire Canvey Island, Party Shelter Wickford, Tent Hire Rochford, Party Marquee Southend on Sea, Laindon, Ilford, Marquee hire in Romford, Grays, best marquee hire in London, Barking, Dagenham, Harold Hill, Hornchurch, Upminister, Chelmsford, Benfleet, Rayleigh, Corringham, Westcliff on sea, South Woodham Ferriers, Leigh On Sea, Brentwood, Essex all Areas.